Today was an awesome day, I finished the Goodlife 12 Week Challenge and I’m very happy with my results! 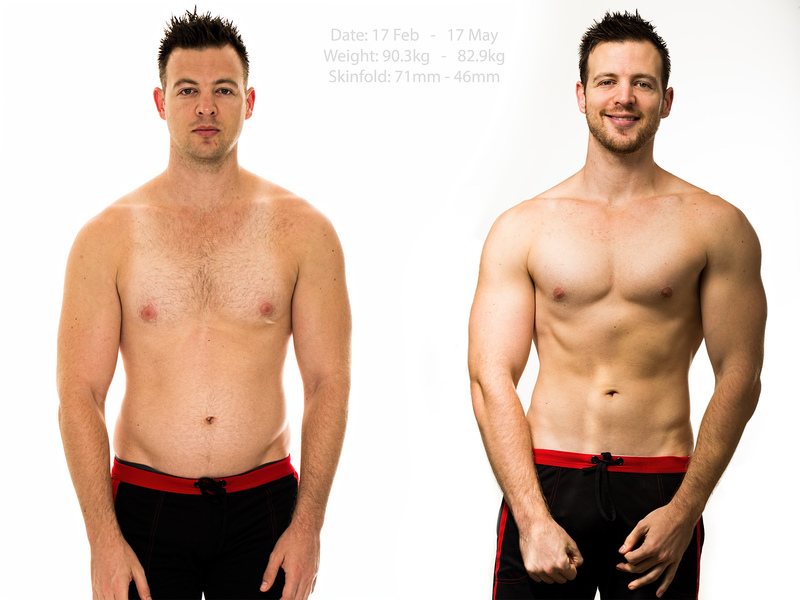 I entered the transformation section of the challenge with my personal trainer Kial Richie. 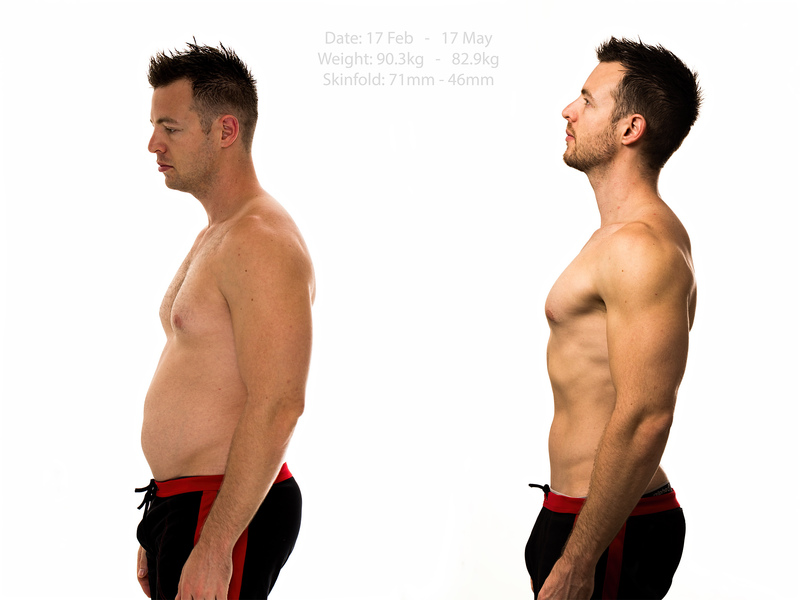 My goal was to lose as much fat as I could while minimising muscle loss. Hopefully I can keep it off! My training routine didn’t change too much as it was mostly diet adjustments that made the difference, with a little more cardio thrown in. The diet consisted of cutting out all junk food and sugar for the whole 12 weeks, and cutting carb intake during the final third of the challenge. The after photo was taken with proper studio lighting, but I have not edited either of these photos in any way. Obviously the better lighting, smile and pose do make for a much better after photo (as well as the missing fat!). I’m hoping to start the next 12 week challenge with this after photo as my new before photo, wish me luck!